This will be a brief post. 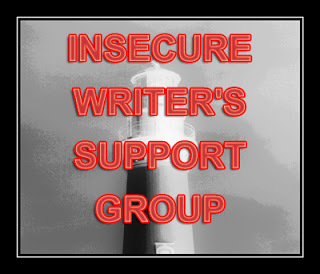 I’ve not been in a blogging frame of mind of late but for IWSG, I’ll make an exception. Let’s do it! I’m less patient. I refuse to waste time plowing through descriptions of clothes, food, or mundane activities when said details don’t matter to the story. If I’m more curious about what a character is wearing than what is going on in the scene, the book needs serious work. I read with an appreciation of writing rules guidelines. I’m perfectly fine with bucking convention when it’s done deftly, but nothing throws me out of a story faster than rules violated out of laziness, inattention, or worst of all, ignorance. I am not a writer, but I blogged today about putting down a book and watching the movie instead. Guess I have no patience for blathering on about ‘stuff’. Films are certainly less of a time investment, Denise. Plus, they tend to cut out all the slow, uninteresting parts you often find in books. Example? I love to watch cozy mystery movies on TV, but I’d rather have root canal than have to read one. Yep, clothes and meals and all that nonsense, pffft, unless they matter, screw it. A few words at most is all that is needed, not going on and on and on and on. You said it, Pat. Less is more. Hear! Hear! Same here. 🙂 I still like decriptions, I just don’t want them to go overboard, and I love it when they echo the mood of the MC. Yes! I like description, too, Holly, particularly when it reflects character. Good description enhances the story. Beautifully expressed, dear lady, and I agree with you 100%. The more we write, the more we expect of ourselves, and the more we expect from the materials we read. Life’s too short to waste on drivel. Like you mentioned in your post, I used to finish pretty much every book I picked up, but in the last six months my did not finish (aka this is really boring) pile has grown exponentially. I agree too. Descriptions are nice, but they can be too lengthy sometimes and take away from the point of the scene. Exactly, Mason. Description that enhances the story is always welcome. Happy birthday, again! I completely agree with Stephen King. And yes, we can’t help but compare. Thank goodness that’s a good thing at times? It does go both ways. Writing is hard work, and I have respect for anyone who can finish writing a whole book. But there are also times when I read something terrible and recognize that I do not want to write like that. Yep. Oscar knew a thing or two. It’s that un-put-down-able aspect I crave and my crit partners are helping me learn how to craft my books that way. Most writers are impatient with badly-edited-crafted books. My kindle is overloaded with books where I’ve read like 6%. Well said, Denise. And who can blame us for being a little impatient when we try so hard to get it right, and the marketplace is flooded with slipshod books? There was a time when I wouldn’t read because I wanted to spend the time writing. I think at that point I might have given up writing because comparing my writing to theirs would have discouraged me. But now, I read a lot. I try not to be envious of better writers. I try to learn from them. Me, too, Liz. I’ve never once regretted reading a great book. Good writing inspires me. I think of myself as a reader first, before writer. I can’t help fussing over writing that is just lazy, or self important, but I still just love it when a book grabs me and I forget all about being a writer. I missed reading for a long time but I’ve given myself permission to indulge whenever possible. Having that “doh” moment when I discovered books on CD helped fill those long driving hours, and I’m much happier now that I’m “reading’ again. I consider myself a reader first, too, Donna, and I adore audiobooks. It’s like being a kid again and being read to. Nothing wrong with comparing, Anna. Particularly if the comparison leads to inspiration and striving to be a better writer! Great answer and good points. Thanks for the kind words and for co-hosting this month, Juneta! Number two: I’m not sure what the “guidelines” are anymore. I try not to pay attention to “rules,” probably because each story is different; therefore, rules apply differently. I let the story be my guide. Three: I learn something from every book I love. I’ve never compared my writing to another writer’s. The way I handle my genre, maybe, but not my writing. Others have, however. I’m a journeyman writer. I know I’ll never be a Michael Chabon or Gabriel García Márquez, so I focus on telling an original and unpredictable story. That’s typically where I base my comparisons—not in the writing itself. Well said. Many writers still leave me in awe. I’m so glad of that! I’m a reader first. I’ve been reading from the age of five-and-a-half. The writing started very, very late (just under 7 years ago) and maybe that’s the reason I can’t read with that same abandon…just sink into a book like before. I’m a reader first, too, Michelle. I think writing changes one’s perspective. Years ago, if someone asked me about a book, I’d tell them what I liked about it. These days, I’m far more focused on what doesn’t work—even when I don’t want to be.